"Very talented and passionate designer. I highly Recommend!" "I'm very appreciate of the work Apo provided. He was very professional and easy to work with. " "Work was perfect for my purposes and fine in timely manner. Communication with Apo was flawless... Would highly recommend! " "Apo S created an excellent logo for my law firm; of the 800+ submissions I received by 50+ designers over the course of a week, his logo stuck out: he adhered to my suggestions, he was very creative, and he timely modified his proposed logo as I reques..."
"Apo S did an incredible job--he reviewed my brief and nailed the look and feel of the logo I was going for with his first effort. Over 100 other designs were submitted for my contest and none could unseat his design at the top of my list. He was very re..."
"APOS was very precise about what I wanted. He came up with the exact colors and the font that appealed to me right away. He was very communicative and very easy to get a hold of for messaging and idea exchanges. VERY PROFESSIONAL. He was also very f..."
"Excellent work. Very professional, timely and creative. He pinned down EXACTLY what we wanted our logo to portray. 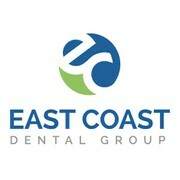 We are very excited to bring his fantastic logo to our practice!" "Great design. Did a wonderful job of following the brief and implementing the things we were looking for. Did several revisions until we were happy... and very fast about it. Many thanks!!" "This logo is exactly what I was looking for. Thanks so much for entering my contest. I love it!!!" "One of the things I liked that APOS did was take my homepage and juxtaposed the logo on it. That was a nice touch and showed the extra effort. Also, he provided several different sizes promptly. " "Nicely executed and prompt response to suggestions and questions. 2 thumbs up!" 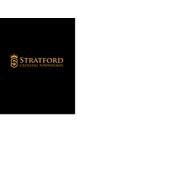 "You designed our new logo last summer, we have a slight name change and I would like to incorp into the logo..please contact me kims@stalwartcf.com"
"APOS was great to work with. Not only did we like his work, but he was prompt, accessible, and professional throughout the entire process. " "APOS is a real pro, he asks questions to find out what you want, he will revise as needed, very helpful and he has great eye for design. The handover was very smooth. Highly recommended! Thank you Apo!" "This was our first experience with 99designs, and Apo made it painless. He brought us great designs, followed our brief, made prompt changes, and delivered! 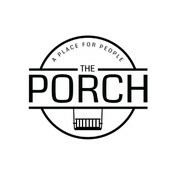 We are incredibly pleased with our new logo, and would definitely recommend Apo's work to others..."
"We couldn't be happier with our new logo and the 99designs process. Out of more than 200 designs submitted by 32 different designers, Apo's designs captured the uniqueness we were looking for. He was great to work with, quickly responding to emails an..."
"Spot on design from our brief. Very quick to respond, easy to work with. Super happy with end result and the entire process, great job!" "Apos worked very quickly and competitively to win the prize in this design contest. He used creativity and paid attention to our target market when he designed the winning shield logo for our law firm. Apos does quality work and he will get it done quic..."